A podcast supporting the 1st amendment, freedom of speech and the American Dream. Mr. Midnight Movie and Jewish Producer are your humbled hosts. Folks listen up. This is YOUR chance to come out on top just by donating to Inflammatory Talk. How? Well, aren't we all sick of working like slaves with no hope for self-enlightenment and freedom? Forget those days, they are behind you now because Jewish Producer has come up with a way to make your working day a little more hopeful. 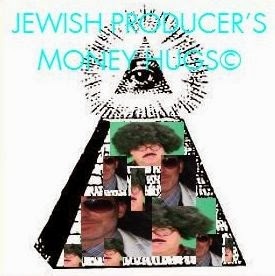 Donate to the Inflammatory Talk/Jewish Producer Money Hug. How it works is you donate, the thermometer goes up. At the end of the month, the total $$ in the thermometer will display the total amount of donations by listeners during the month. We will then split that amount between one lucky listener and the show! EASY! For example, if we raise $50 for the month of March, we will pick one listener from the donation list (we get an email address for each person who donates...) and we will send you $25 of that pot. Regardless of how much or little you donate. Stay at the top of the pyramid and donate to the show. Donate whatever increments you'd like to donate, the more the merrier! Follow the thermometer throughout the month for updates and BOOM. Help us continue to do our thing while you sit back and chill and be a part of JP's Money Hugs. Donate to Mr. Midnight Movie and Jewish Producer's INFLAMMATORY TALK. We do a semi-regular podcast on Spreaker, but we are working stiffs, just like you. Wanna help keep us active in online radio? Help out! Donate any amount and we'll be friends forever.